I made a YouTube video yesterday on ways that Spirit speaks to us here in physical. Here’s where you can check it out. Over the years I’ve had many ways that spirt has spoken to me. Looking back, I now realize I was open to receive then too and I’m giving myself more credit for the life I’ve led that has gotten me to this point. Before recording I made some notes. One of them was to talk about this book site that I’ve been using online(for over 20 years) and how I purchased a book about Abraham Lincoln and when it arrived it had a small white feather in the first page. My sign from Abe and I loved it! As I was writing the note, I realized the name of the site I’d been using for over 20 years to purchase books was…wait for it…ABEBooks.com! Only I was saying it like, A.B.E Books.com, not ABE Books.com, so I never even heard the message from Mr. Lincoln! He’d been sending me signs all these years! It doesn’t end there. 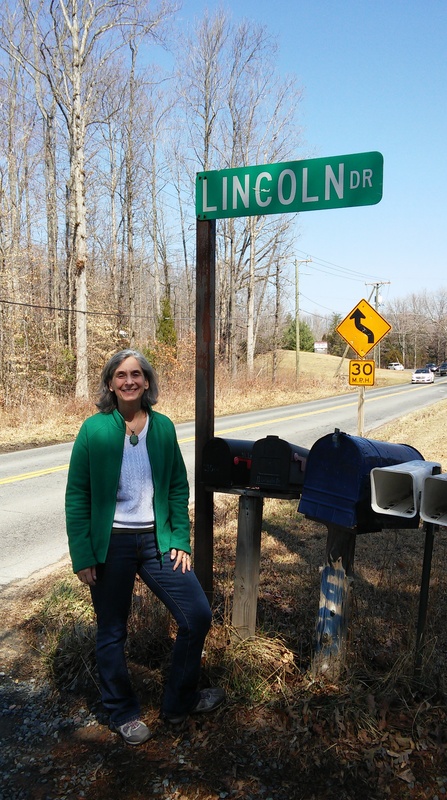 Just yesterday morning I asked for a sign from Spirit as to whether I was going to find an agent for the book I am writing on Abraham Lincoln and Jerry Hicks, and get published. Now…cue the drum clang. ABE Books! Yep, that wasn’t subtle at all. Thanks ABE! Oh and yeah, it STILL doesn’t end there. 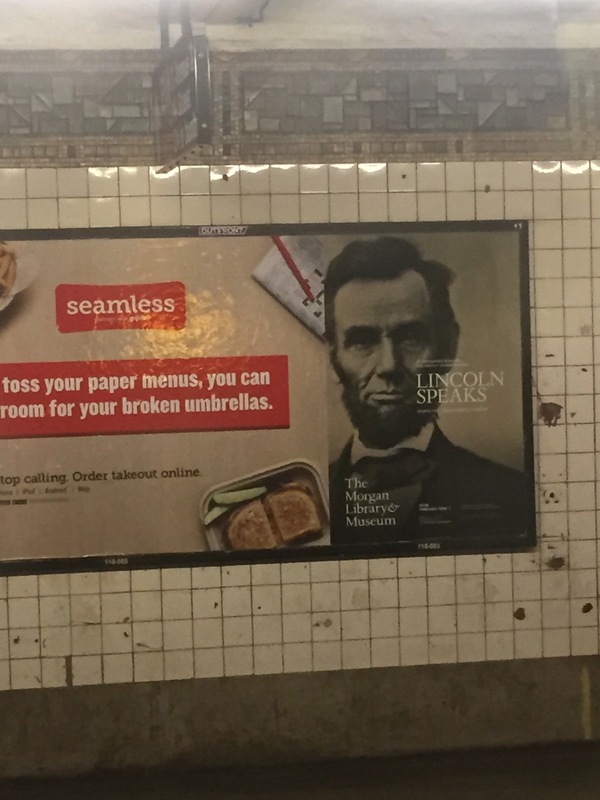 My daughter, who lives in NYC, sent me a text with a picture of Abraham Lincoln on a billboard that was in the subway. It was advertising an exhibit at The Morgan Library called…wait for it…”Lincoln Speaks.” Cue the harp music.